Good morning. I'm writing from gray and gloomy North Carolina. I cannot believe the weather this spring. It's so depressing! I hope wherever you are, it's at least sunny! 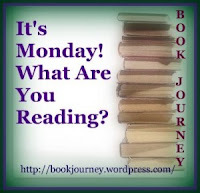 Last week, I posted a review of Saving CeeCee Honeycutt by Beth Hoffman. It was my book club's April selection, and I have to say it's not a great choice for discussion. But it is a nice summer read if you're looking for something to put on your list. Check out my review. I also posted a trailer for A Delicate Truth by John le Carré. It looks like a great thriller! I finished All Over But the Shoutin' by Rick Bragg and really loved it. I wish I hadn't waited for so long to get around to reading it. I'll try to write up the review this week. Now I'm reading my May book club selection, Code Name Verity by Elizabeth Wein. I haven't gotten very far, but so far it's holding my interest. I think I'll pick up Run Like a Mother by Dimity McDowell and Sarah Shea next. I also have a few children's books that I've accepted for review. So I'll probably start reading one of those with M as well. 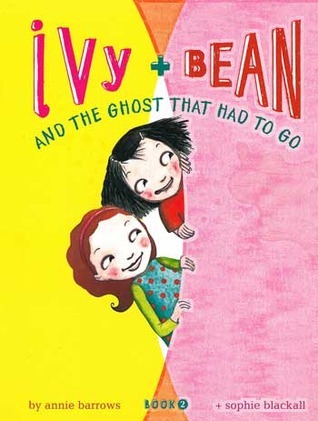 M is about halfway through Ivy and Bean and the Ghost That Had to Go by Annie Barrows. She's really enjoying this second book in the series. It's amazing how quickly she is reading now. I think I'll plan to ask some comprehension questions when she's done to make sure she's understanding what she's reading. She and I also read Ferdinand Fox's Big Sleep by Karen Inglis. What a cute picture book! I'm going to get M to help me write a review for it. I also have Eeek! The Runaway Alien by Inglis for review, so I think we'll read that one next. I can completely relate to trying to figure out what is appropriate for your little reader! I was just in Barnes and Nobles today because he has read all of the Magic Treehouse books and we needed a new series to start! Right now we are looking at the A to Z mysteries and The World According to Humphrey, which is about a classroom pet. Have a wonderful week and I hope you enjoy Code Name Verity. I loved it! I just realized I didn't respond to comments! Sorry! My son never read A to Z Mysteries or The World According to Humphrey but I may have to try those with M.
I felt the same way about Cee Cee Honeycutt - light and pleasant but nothing deep. I would love to read Code Name Verity - I have heard great things about it. Don't know if you stopped back by my blog again, but I do think The Game of Sunken Places is about right for C's age - it's recommended for ages 8 and up. I will post a review later this week. It sort of reminded me of a cross between Jumanji and the Hardy Boys! Oh, that reminds me - has he tried The Hardy Boys yet? Even Craig, who says he hates to read, LOVES the Hardy Boys. I'm always concerned Hardy Boys will be too outdated for him. But I may encourage it. Maybe I can get him and a couple friends to read one and talk about it. That might get them more interested. And I'm definitely going to check out The Game of Sunken Places. I have heard great things about Code Name, I look forward to your review. The weather is beyond weird, this is how we get sick.